December 15, 2011 by MIG & Co. Instant connectivity is imperative whether you are working in sales, marketing or customer service. If you cannot use your systems seamlessly, time will be lost and could hurt you in the future. Skype is a tool that many have used as an inexpensive phone and video chat service. Zero2Ten has developed a connector for Microsoft Dynamics CRM connecting your CRM records with Skype. With CRM and this Zero2Ten connector, you are able to call a contact within Dynamics CRM using an icon that connects you to Skype. Your time will no longer be spent switching from one program to another, having to retype or copy numbers from your CRM (often leading to mistakes). In addition, once Skype is opened, it will prompt you once more to verify that you are contacting the right person. This free integration of Skype with Dynamics CRM can be implemented quite easily. If you have been waiting for a simple integration for your disparate systems, here it is. Many users have switched over to VoIP making their calls easier and adding more functionality to their phone calls. So why not completely integrate all your systems? Contact us at MIG and we’ll help you choose and set up the right business solution package for your company. 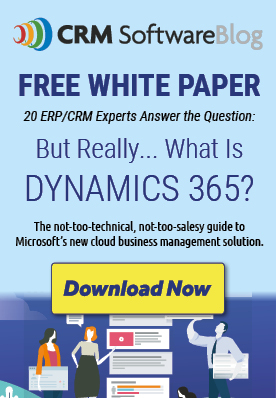 Microsoft Dynamics ERP & CRM always scrambling to find and implement systems that satisfy new demands…this is why from last ten years Microsoft dynamics is rocking.